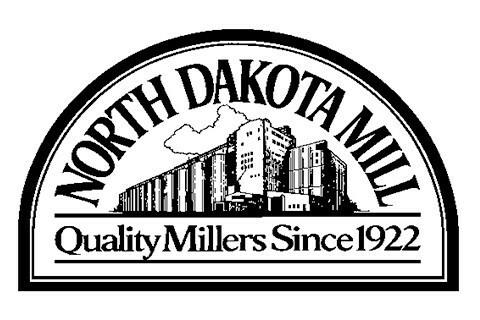 The North Dakota Mill facilities include seven milling units, a terminal elevator and a packing warehouse to prepare bagged products for shipment. All Mill facilities are located in Grand Forks and have been paid for from operating profits. With seven milling units, the Mill produces and ships 36,000 cwt. of milled products daily. In addition, the Mill ships over 13,500 cwt. of food grade bran and wheat midds daily. The Mill cleans, processes and mills over 80,000 bushels of top quality North Dakota wheat daily. On an annual basis, the Mill adds value to 23 million bushels of spring and durum wheat. The terminal elevator has a storage capacity for 4.3 million bushels of wheat. The terminal elevator blends, cleans and transfers wheat to the six milling units and provides wheat storage to farmers, country elevators and government agencies. 70% of the Mill’s flour and semolina is shipped on bulk rail cars and trucks, 30% of finished products are packaged in 5, 10, 25, 50 and 100 pound bags for shipment via boxcars and trucks. Product is also packed in totes/super sacks for shipment. The Mill also sells a line of bread machine and pancake mixes for the retail trade. The North Dakota Mill receives no funds or financial assistance from the State of North Dakota to subsidize the milling operations. Selling value-added milled wheat products to bakery and pasta customers, as well as retail and food service suppliers, generates all operating funds. Over 90% of sales revenues are derived from customers outside the State to create value-added income for the State of North Dakota. The North Dakota Mill supports the local economy with a payroll of $7 million annually. The North Dakota Mill and Elevator Association has contributed 75% of its profits to the North Dakota State General Fund for more than 35 years and continues to be a valuable asset to the State of North Dakota.